The German writer Terézia Mora (1971) grew up with a double, Hungarian-German linguistic identity. She reflects on her own bilingualism in many ways, also on the micro level of the text. How can this linguistic duality be kept in the Hungarian translation? What translation strategies are to be applied in order to keep the intentional foreignness of the original in the Hungarian target text, if this foreignness is produced by using the very characteristics of the Hungarian language in the German original? This case study focuses on the reflection of bilingualism and the translation problems arising from reflection in literary texts by studying examples taken from the novel Das Ungeheuer by Terézia Mora. Self-observation that looks back and the analysis of the text examine wether the translator finds the solutions satisfactory from the point of cultural transfer. The conclusion is that the translator, when choosing among the alternative solutions available, works assuming that the recipient interprets the work in a much wider context than the translated text. Burka, Bianka. 2011. Manifestationen der Mehrsprachigkeit und Ausdrucksformen des ’Fremden’ in deutschsprachigen literarischen Texten: Exemplifiziert am Beispiel von Terézia Moras Werken. Doktori értekezés, kézirat. Veszprém: Pannon Egyetem, Nyelvtudományi Doktori Iskola. Forgács Erzsébet. 2003. A kódváltás, a transzfer, az interferencia és a mentális lexikon kérdéséhez magyar–német kétnyelvű beszélők megnyilatkozásaiban. Modern Filológiai Közlemények 5 (2): 20–41. Kappanyos András. 2015. Bajuszbögre, lefordítatlan: Műfordítás, adaptáció, kulturális transzfer. Budapest: Balassi. Mora, Terézia. 2013. Das Ungeheuer. Berlin: Luchterhand. Mora, Terézia. 2014a. A szörnyeteg. Ford. Nádori Lídia. Budapest: Magvető. Mora, Terézia. 2014b. Nicht sterben. Frankfurter Poetik-Vorlesungen Berlin: Luchterhand. Mora, Terézia. 2016. Der geheime Text. Salzburger Poetikvorlesung, Sonderzahl. Salzburg. Ricoeur, Paul. 1998. A szöveg világa és az olvasó világa. In Narratívák 2.: Történet és fikció, szerk. Thomka Beáta, ford. Martonyi Éva. 9–12. Budapest: Kijárat. Thomka Beáta. 2018. Regénytapasztalat: Korélmény, hovatartozás, nyelvváltás. Budapest: Kijárat. Toldi Éva. 2017. Szövegközi átjárások, köztességtapasztalatok Terézia Mora prózájában. 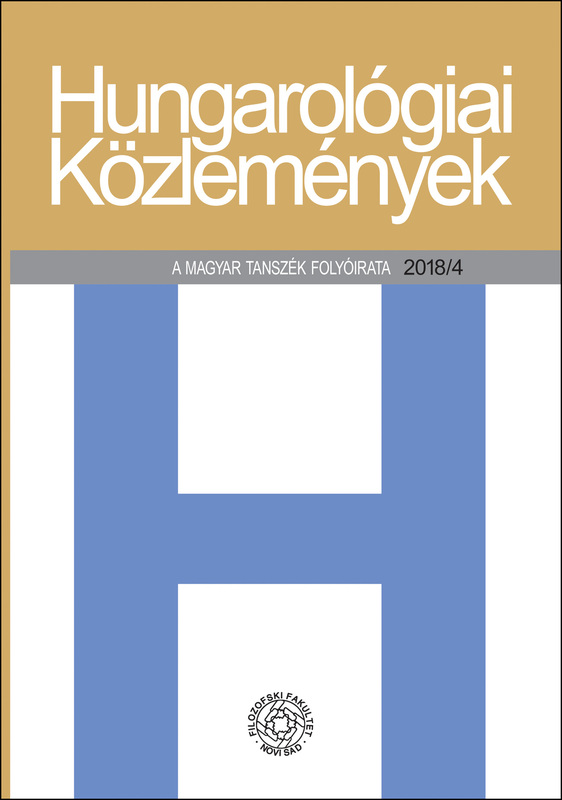 Hungarológiai Közlemények 18 (3): 37–51.